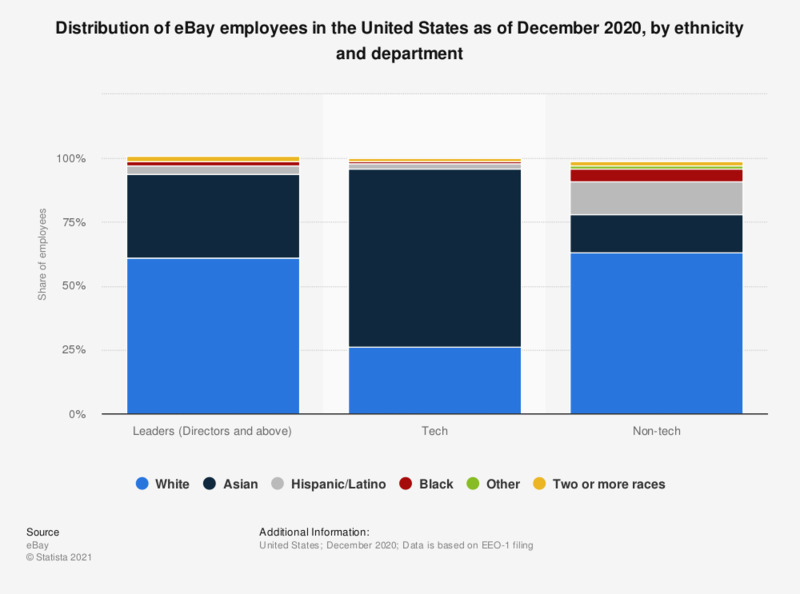 This statistic illustrates the distribution of eBay employees in the United States as of December 2017, sorted by ethnicity and department. In the surveyed period, four percent of U.S. eBay leadership employees were of Hispanic or Latinx ethnicity. The majority of employees were white.